For decades Bhutan had no television, no traffic lights and a culture that had barely changed in centuries. 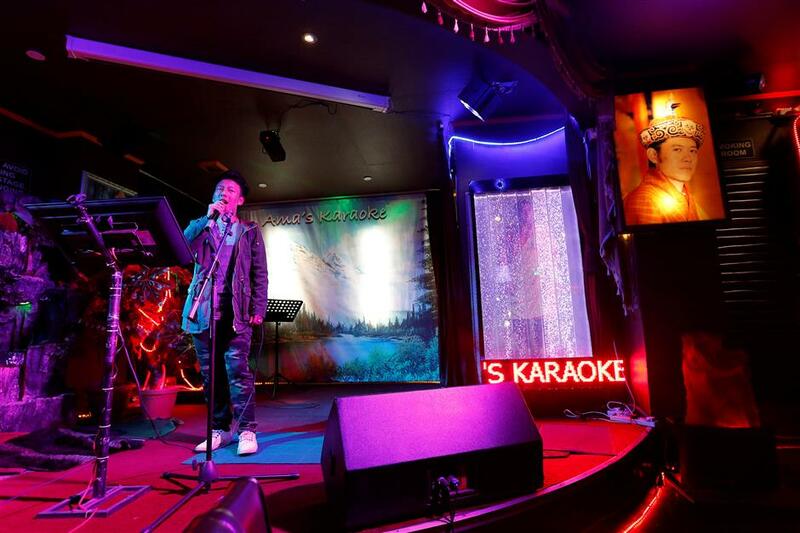 A man sings in a Karaoke bar beside a portrait of King Jigme Khesar Namgyel Wangchuck in the capital city of Thimphu, Bhutan, December 16, 2017. “I’m not happy or sad about things, I have no other choice,” said Lhaden, who only has one name. Bhutan’s $2.2 billion economy remains predominantly agricultural, but mobile phones and TV sets are everywhere, even in the Phobjikha valley, a tourist haven about seven hours’ drive from Thimphu and in winter, home to Bhutan’s famed black-necked cranes. “Children are spending more time on their mobile phones and not studying,” said Ap Daw, 43, a farmer who also bemoans the rising mounds of trash by the road. Daw’s 13-year-old son, Sonam Tshering, a football fan himself, has big dreams too.